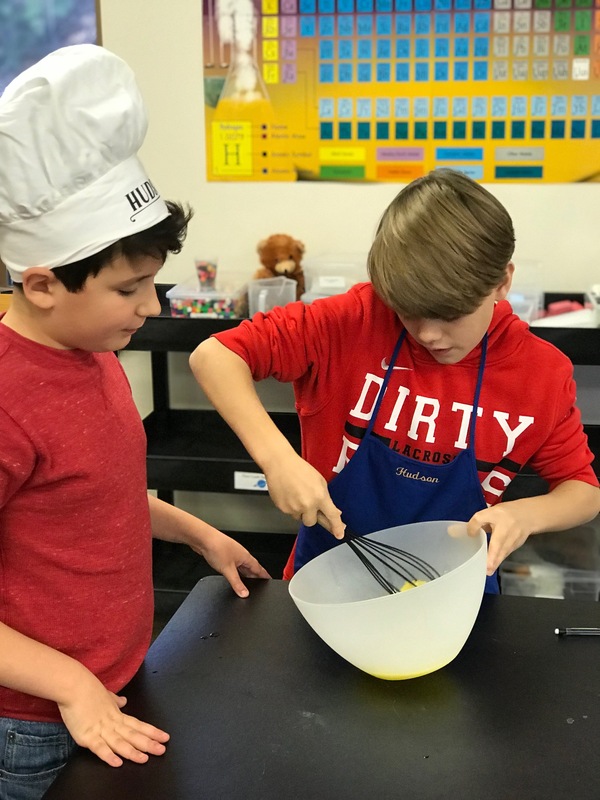 Photo Highlight of the Week: We discovered cooking with fractions is a blast! Hudson, Leo, and Seth made a terrific team of chefs! Our brownie waffles definitely were 5 star quality! Don’t forget! Second quarter report cards go home on Thursday! Please sign and return them in the unsealed envelope. ELA: We worked hard last week learning how to take note cards for our research paper. We practiced and practiced, and now it’s time! We will start taking notes on Monday! Please make sure that your student has all they need for this project on that day. In order to still keep our vocabulary, reading comprehension, and grammar skills sharp, I will insert mini-lessons throughout the weeks. For vocabulary, I’ll be using a program called Vocabu-Lit. It gives the student a small passage from an age appropriate text and chooses 10 words to highlight and learn how to use in context, as well as practicing analogies, synonyms, antonyms, root words, prefixes, suffixes, etc. After introducing the terms, the exercises will be ELA homework throughout the week. For grammar, we’re going to use a text called Daily Paragraph Editing, some may already be familiar with this program. Since we’re going to use so much editing in our research paper, this is the perfect time to edit paragraphs, find mistakes, and figure out how to fix them! DPE will be completed all in class. History: We are finishing up our last few lessons in the Civil War unit. These lessons cover Lincoln’s assassination, along with Congressional and Presidential plans for reconstruction. Math: We had so much fun on Friday as we strapped on our aprons and turned our science lab into a five star restaurant! Afterwards, we had a great discussion about the difference between multiplying fractions because of repeated addition versus multiplying fractions to find part of a whole. This week, we will practice multiplying mixed numbers and dive into dividing fractions! On Monday, we will have a homework check on last week’s homework. Science: On Monday, students have been instructed to bring in a pack of index cards that we will keep in the classroom to use for our flashcard assignments. These will be kept separate from the index cards they are purchasing for the research paper. Last week, we discovered that no matter their mass all objects accelerate towards the ground at 9.8 meters per second due to unbalanced forces caused by the gravitational pull of the Earth. We watched related Myth Busters episodes where they tested similar theories we are studying in class. We also watched a terrific video about the common misconceptions that many adults have regarding these principles. This week, we will learn how to calculate the forces that oppose motion, such as the force of friction. Other: We have just confirmed with Ms. Jennifer Steele that we will begin our Leadership Lite classes the week students return from the MLK holiday. These classes will be a mini version of the leadership classes they take in Upper School. She will cover an array of topics, for example, dealing with changing friendships, self confidence, and qualities of good leaders. 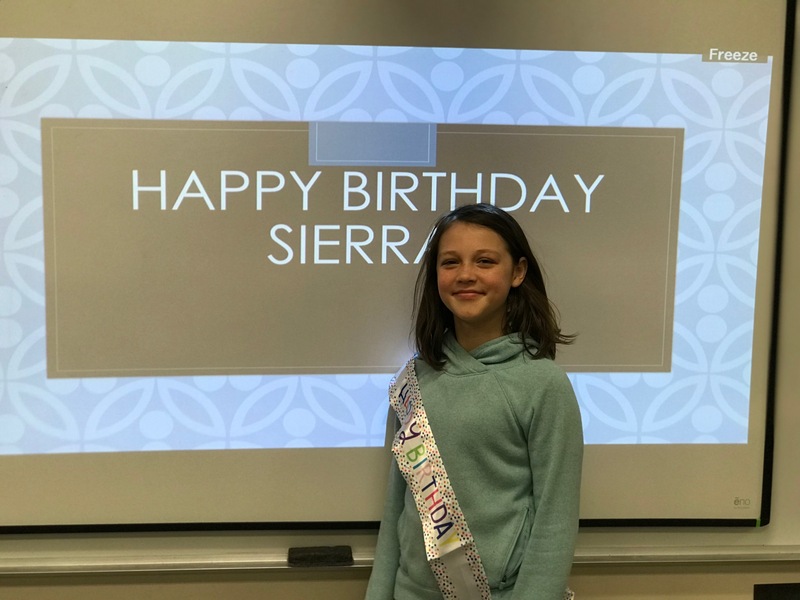 Birthday celebrations: Best birthday wishes to Sierra, Morgan, and Erin as we celebrate these special days with them!